Cape Town - Joan Baez and Bob Dylan wrote the beautifully simple song, Where have all the flowers gone? The song, especially the chilling chorus refrain When will they every learn? perhaps aptly describes the feeling one has when thinking about the upcoming mini budget. Finance Minister Malusi Gigaba will deliver his inaugural budget speech on October 25 when tabling the Medium-Term Budget Policy Statement (MTBPS) in the National Assembly. Long gone though are the days just after the turn of the century when former minister of Finance Trevor Manuel, with the vibrant Maria Ramos as Treasury head at his side (later his wife), distributed fruit and small plants at budget time in Parliament as a symbol of the fruit of prudent management of government finances and new growth in the economy. Looming tax rises and doubts about how money is being spent constantly bring to the fore the question of tax morality, which in any country that hopes to be happy and progressive should not even be a discussion point. But let's leave that for now. These days government finances – meaning the state or South Africans’ collective combined wallet – do not look healthy. Economic growth and thus income (taxes) is too low and being downgraded constantly, creating expenditure problems (spending on service delivery and infrastructure) and a looming escalation of debt to debt trap levels. You can read all about it in analysts’ assessments and warnings, as well as economic reports of neutral institutions like the International Monetary Fund (IMF). The South African Reserve Bank last week said that the budget deficit could swell to 4.5% of gross domestic product in the current financial year, compared with the 3.1% shortfall the Treasury forecasted in February. The general feeling seemed to be that the shortfall in tax revenue could amount to R50nn. Not a pretty picture. Gigaba himself admitted this week in a Bloomberg interview that revenue targets are obviously not going to be met. “National Treasury has a lot of work to do to maintain the nation's budget and spending framework,” he said in Washington, where he is attending the annual meetings of the IMF and World Bank. Sharp tax hikes and the threat of the downgrading our financial and investment status by international ratings agencies seem to be the only factors that will keep us on the right track. 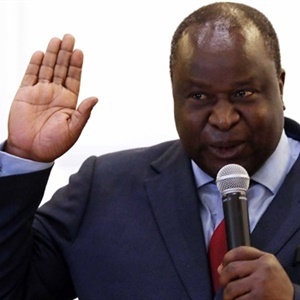 South Africans can therefore brace themselves for paying more tax, the details of which will be announced in the National Budget in February next year. But when Gigaba speaks on October 25 the figures, plans and rescue actions won’t necessarily be the main interest. The elephant in the room will be trust - lost trust. Too many South Africans (and influential ones who play a crucial role in the economy, from labour unions and ordinary salaried taxpayers to industrialists and big investors) don’t trust the people in control of our common wallet. And you don’t have to be an economist to realise that any economic and financial activities are built on basic trust between parties involved. 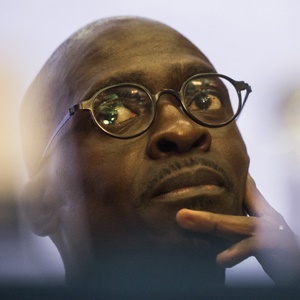 On leaving for Washington this week, Gigaba again mentioned that he will remind international investors and other stakeholders of the 14 confidence-restoring points. Who still remembers those points he announced in June this year to counter the no confidence issue? The clouds have been forming since 2008/09, when the international financial crisis hit. Initially SA weathered the storm very well, thanks to its considerable fiscal manoeuvring space. But sadly this coincided with President Jacob Zuma's government taking over from Mbeki and apparently allowing, if not actively promoting, enrichment of some through the looting of state resources, especially state-owned enterprises. Gradually mistrust and suspicion started scrambling and clouding things further. Eventually whistleblowing - first regarded as only suspicions, followed by counter-accusations, smear campaigns and casting of suspicion on and getting rid of those honest enough to come forward - has culminated in the term 'state capture', now apparently regarded as a fact by most impartial commentators. Danger signs have appeared all along and the coming mini budget will probably not differ much from previous ones in its effort to address them. Except that we’re almost ten years further down the road with the Zuma administration, with the elephant in the room getting bigger and bigger, now almost blocking out all reasonability and goodwill. And that is the bigger danger – not a bad financial position which can certainly be rectified. In January 2015, even before the sacking of Nhlanhla Nene as finance minister in December 2015 by Zuma, a tax expert with 14 years' experience at National Treasury warned about tax morality in SA, seeing the “beginnings of a tax revolt in SA”. Keith Engel, in charge of legal aspects of SA taxation at the National Treasury before he left in 2014, was interviewed on CNBC Africa by Alec Hogg, founder of Moneyweb and Biznews. Engel spoke on taxpayers’ growing concern at the apparent waste of their contributions through controversial government spending, and the haemorrhaging of money to dubious individuals and projects. He also said the real issue in South Africa is not a tax problem. It’s an expenditure problem – “one can be trying to simply do too much with too few resources”. Engel further talked about attempts not to raise taxes and stifle economic growth, signs of divestment, the bleeding of billions of rands in revenue due to tax-based erosion (earning money in SA but shifting the income abroad), and possible “quantitative easing” (loosening of monetary and fiscal policy) in South Africa. The full text of the interview is still available on the internet. In the past two years, especially since the appointment of Gigaba as finance minister, the issues raised by Engel have worsened due to mistrust and lack of confidence in the people in charge. Dennis George, general secretary of the Federation of Unions of South Africa, convincingly described in a recent article how Gigaba has been the central architect of the state capture project. This started with his appointment in November 2010 as minister of public enterprises after the removal of Barbara Hogan, and continued right up to the recent threats around using the PIC (which holds state pensioners money) to help balance the governments books and keep the SOEs going. But as Colin Coleman, head of Goldman Sachs in South Africa, this week said at a Thomson Reuters Summit in Cape Town, South Africa is a hard country to break, although some are trying their best to do it. According to Fin24, he believes South Africa can get back to a 3% GDP growth rate if it gets “the basics right. And in the right circumstances, the country could even push its growth rate to 5% in three to five years”. State-owned enterprises are the “biggest systemic failure” in South Africa currently. But “the potential for turnaround is there. The good guys will overcome,” Coleman said. South Africa has many sides. Most of the time not all the angles have shown a pretty picture – or the good news story that the Zuma government is still (feebly these days) trying to convince everybody of. Change will come - though not through the Zuma government and his young and ambitious finance minister. To quote another Dylan song: Times they are a-changin’.